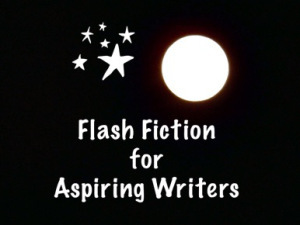 This post is for the Flash Fiction for Aspiring Writers (FFfAW) Challenge, run by Priceless Joy. This week’s photo prompt was provided by Etol Bagam. The challenge is that you write a story of 75-175 words inspired by the photo prompt below. I hope you like it. He first saw it when still a child, ignoring the mean laughter of his classmates as he played alone. 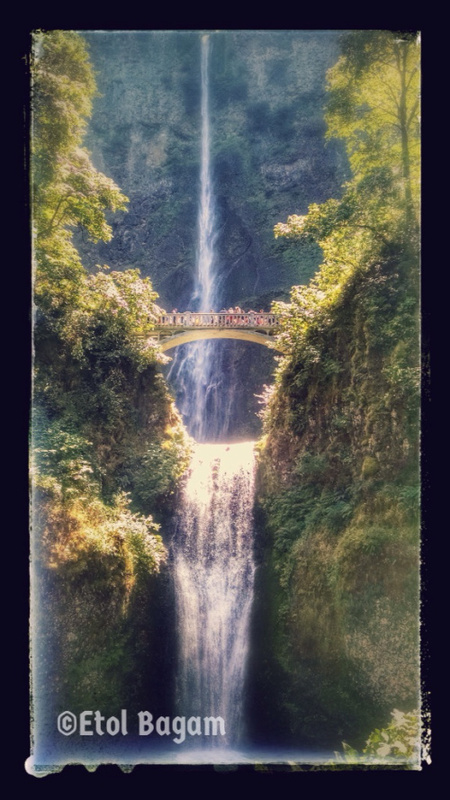 It twisted in the corner, a ribbon of colour that widened and spread as he approached, revealing a mighty waterfall aglow in bright sunlight. He was captivated. No one else could see it. “What an amazing imagination,” he teacher said. His classmates just called him weird. He saw it again, repeatedly. At school. At home. Out and about. In time he learnt not to mention it. No one understood; not peers, parents or doctors. He kept his continued explorations to himself. The closer he was, the more the view unfurled until even the ground beneath his feet appeared a rocky outcrop. He gazed down at crystalline water, unfathomably deep, within which bathers splashed. Some days he could feel the moisture on his skin and hear the roar of cascading water as he stood at the edge, the view obscuring all thoughts of failed relationships and dead-end careers. Those days he longed to dive in. I knew light and fluffy couldn’t last for long. At least I managed a cheerful story for Monday and a cheerful photograph for Tuesday. I thought I’d let my imagination just go where it wanted to for this one. I’d love to know what you all think. Unfortunately, I have to go out and work for a few hours this evening so I won’t be doing the rounds of everyone else’s blogs until later than I usually manage. I will try and make it around everyone, though! Thank you, PJ! I’m glad you liked it. 🙂 As I mentioned a few weeks ago, I’ve sorted out a few pictures the challenge – what email address should I send them to? You can send them to mepricelessjoy@gmail.com. Thanks Louise, I look forward to seeing them. I keep waiting for him to join this world he can see, to step right in the water and by rid of the life he hates. But I guess it’s just his imagination, but I’d like to think more. I like how you wrote it. Sometimes I think with people who hallucinate in mental health situations that although it’s not healthy for them to hallucinate, sometimes what there hallucinating is better then real life and the mess it is, so I can’t really blame them for wanting to stay in there fairytale life. Just a thought having had some mental issues myself and seen how other people are affected by mental diseases. Ah, yes. Not only did I enjoy your short story, the comments were very enlightening. I want more- which is always a good thing. But I would have loved to see you explore the ending you mention- hearing his mother. I like how you show rather than tell me the story by your word choice! I felt much sadness and isolation for your character. As I kept on reading I thought that you would have written him jumping in, but I’m glad you didn’t. This leaves it up for your readers to create their own conclusions. My original plan had been for him to jump but I found the ending just didn’t work like that. I’m glad you liked it as it ended up! I have a liking for stories that can be interpreted in a number of ways. 🙂 Thanks for visiting. Thank you, Scrapydo. 🙂 I’m glad you enjoyed it. Enjoyable story. I liked the fine line you walked with this, to keep us guessing. Good job. Thank you. 🙂 I’m glad you liked it. Just so amazing that imagination can take you to worlds that other people cannot even begin to imagine!! Great story! Imagination is a wonderful thing. 🙂 Thanks for visiting.